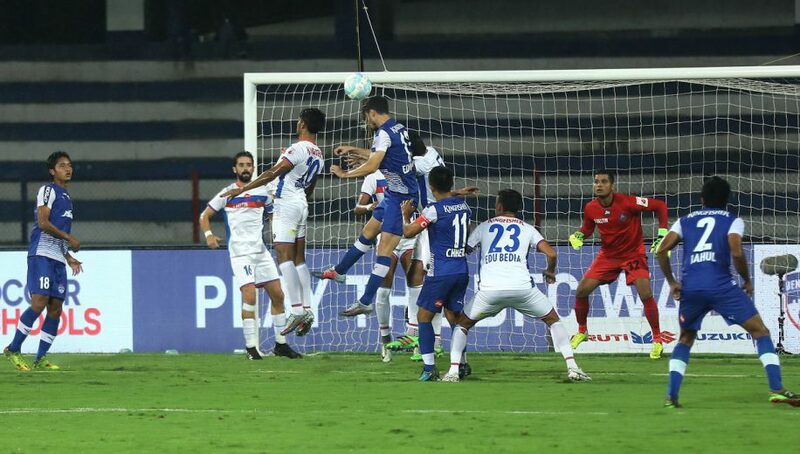 Last season’s Hero ISL final ended in heartbreak for Bengaluru FC with Chennaiyin FC emerging 3-2 victorious while back in 2015, it was Goa who faced a similar heartbreak against the same opponent & with the same scoreline. It was doubly painful for Bengaluru FC midfielder Dimas Delgado who was forced to withdraw from the game after suffering an injury in the first-half. The Spanish midfielder watched helplessly as his team went down in front of their fans. He now has a chance to make amends for that painful experience when the Blues take on FC Goa at the Mumbai Football Arena on Sunday. “It’s always nice to reach a final and I am glad that this team has worked hard to reach this game. It means especially more to me because I had to leave the pitch during the game last year and I am sure we will give our best,” he added as Bengaluru look for their first ever ISL title. FC Goa are no strangers to heartbreak in the final. Chennaiyin FC, again, played the party spoilers with a stunning comeback in Goa back in 2015. Mandar Rao Dessai, who was part of that FC Goa team, is now captaining the Gaurs as they look to banish the ghosts from that fateful day. “I remember that day (the final in 2015) very well. We went down 3-2. We try to keep a lot of possession nowadays and wait for opportunities to attack. Before this, it was a lot more direct. We were not keeping balls that much. But things have changed now. We have to keep our focus and we can do it on Sunday,” he stated. Mandar, who started off as a winger, has made himself indispensable as the left-back now and credits coach Sergio Lobera for the same. “Coach believed in me that I can play as a left-back. I try to improve in every game so that I can help my team,” he added. Goa have in their arsenal the league’s topscorer – Ferran Corominas – who has scored 16 goals this season and led the team’s charge to the final. The Spaniard, who has struggled against Bengaluru FC, is keen to make amends. “It’s true that I haven’t scored against Bengaluru FC this season. Me and my teammates got some chances (but couldn’t score). But this game is different. We are ready and excited about the final,” said Corominas. All in all, a terrific tussle awaits the fans on Sunday and it remains to be seen whether it is Bengaluru FC or FC Goa who banish the ghosts of their past.